Daya Devi-Doolin's new book Grow Thin While You Sleep! will be available for free beginning March 1, 2017.. A blueprint for overcoming life's challenges and particularly the perplexing problem that many face in losing weight, this book tackles the underlying mental-emotional struggles by tapping into the power of Creative Mind. The book goes through a series of real-world steps that help you get to the root of what is keeping you stuck from achieving your goal, whatever that might be. !!! 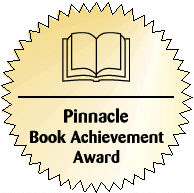 Winner of the 2009 Pinnacle Book Achievement Award !!! The Only Way Out Is In: The Secrets of the 14 Realms to Love, Happiness and Success, written by Daya Devi-Doolin, is a wonderful reference for raising self-esteem, for changing the world we see through a change in perception and takes the reader through a step by step process of Be-ing in the Realm of the 14 different levels of where and what you desire to do, be, and live in. She provides a wealth of information and recommended bibliography to help make the process of love, happiness and success much easier to remember to BE in and to make it a real experience. The Only Way Out Is In: The Secrets of the 14 Realms to Love, Happiness and Success! addresses the many Secrets made available to her for her spiritual growth. She can now assist a larger group of people to realize their potential of clarity, peace of mind and their ordained abundance. Drawing on her years of experience in the field of Positive Thinking, Visualization and Manifesting through the Law of Cause and Effect and the Law of Vibration, Daya Devi-Doolin has created a useful guide for ailing hearts, ailing spirits, ailing thoughts to use and to navigate beyond ego's idea of reality. Author Daya Devi-Doolin is an ordained minister of the Unity Church of Christianity and a Spiritual Healer and Counselor. She is a Reiki Master Teacher, Yoga Fitness Instructor and BodyTalk Practitioner. She has studied Matrix Energetics. Beyond these accomplishments, she brings a simplicity and certain joy to the practice of spiritual living, which carries over into her books. This book is a collaborative project born from the desire to help our fellow citizens. We know that times have been tough for many and we have decided to use the power of the written word to help uplift spirits and provide encouragement. Offering new ideas, ways of thinking and perspectives, we are letting those going through difficult situations know that there are people who understand, care and are here to help. This book empowers and encourages the reader to regain inner strength and take action. Covering a wide variety of topics including family, prosperity, self-cultivation, health, parenting, joy and humor. There is something here to help everyone during every stage of life. Taking matters into our own hands has taken on a new meaning: responsibility. When we accept responsibility for our lives and our circumstances, dramatic results are achieved! 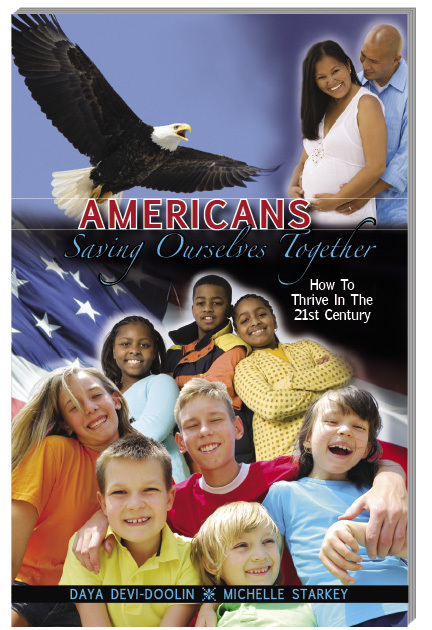 Although this book was written for Americans, we strongly emphasize that we are not solely American citizens, but global citizens. 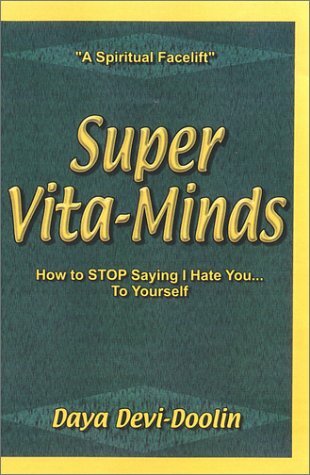 "Super Vita-Minds is an amazing, focused work that can teach the reader self-love. Daya Devi-Doolin has given us the tools to release ourselves from fears, doubts and self-sabotage, and replace them with discovery, enlightenment and the self-appreciation we were meant to have. "Super Vita-Minds is 204 pages, 5 1/2" x 8 1/2", 12 chapters and a giant of a book! The reader, whether spiritual, religious, metaphysical, married or not, learns to walk a special path to betterment that leads to self-growth and self-actualization. Indeed, every page of every chapter is filled with powerful affirmations of Truth that serve to revitalize our spiritual, mental, emotional and physical beings. Drawing on her education, friends, relatives and Ascended Masters, author Daya Devi-Doolin begins the journey with the adoption of the I AM Presence. She then road-maps us through Right-Mindedness surrendering negative conditions, co-creating with God and a unique chapter devoted to a forty day program of renewal. Then, with the writing mastery borne of true belief and heavenly help, Daya offers salient chapters about release from fear, stopping self-abuse, gratitude for all we have, awareness of higher powers and development of real intention. This Ordained Priest of the Melchizedek Order, Certified Usui Reiki Master Teacher, Rebirther and in this reviewer's opinion, Lightworker, concludes with her personal conversations with Kwan Yin, Ezekiel and Mother Mary. 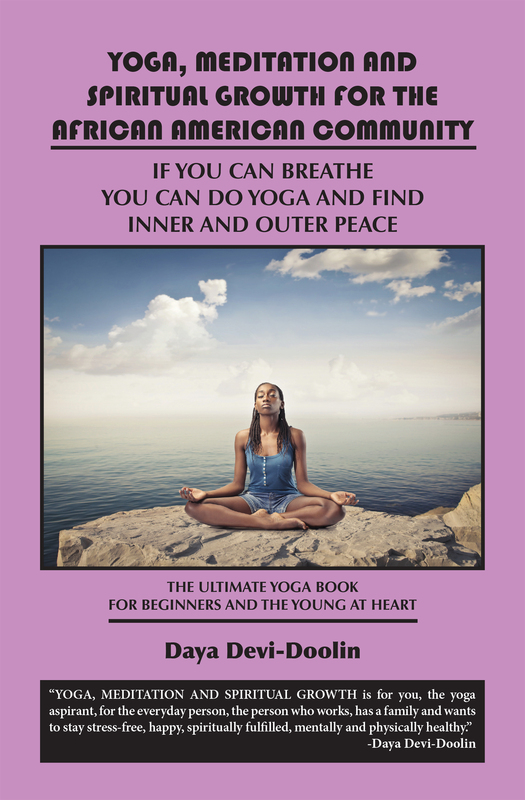 Daya Devi-Doolin is a very special individual and this milestone book reflects all of her love, compassion and devotion. Indeed, Super Vita-Minds is a stunning achievement and a triumph of enablement!" Super Vita-Minds is presented in an easy to read format. Readers can quickly go to any section and locate the main points of each chapter. The blueprints for knowledge, as laid out, allow the reader to undertake his/her own applications for changing one perception a day from self-hate to self-love. This perception change will touch all aspects of each one's life. This is a book that addresses the full magnitude and power behind our thought system and its effect upon our entire lives. It is a true road-map to successfully realizing the hidden miracles that self-love discloses on the job, career, relationship and for the planet. We Bless and Thank All of You For Your Love and Support Through The Years. If you like our books, Share them with a friend! Return to Doolin Healing Sanctuary Home Page.